Calling All Mogul Minded Ladies! It is that time again. The 4th Queens Power Lunch – Empowerment & Networking Luncheon is just around the corner and this prestigious all-female networking luncheon event is not to be missed. This networking luncheon was specially created for the female entrepreneur. Our aim is to professionally link female entrepreneurs and successful businesswomen together. 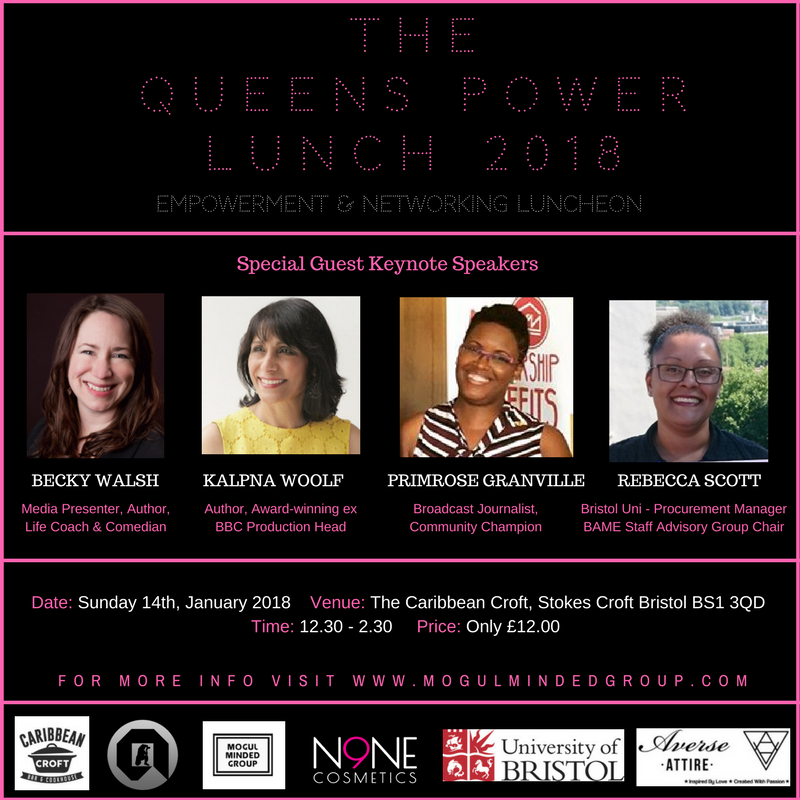 Within the Bristol area there are many young women with the ideas, passion and drive to be successful and the Queens Power Lunch provides the perfect environment for you to be empowered and network with the professionals that can help you take your business to the next step. We have an amazing line up of special guest keynote speakers, these women totally rock and have made strides in various industries throughout the South West. Exhibition Tables Available (Limited Spaces So Book Early) or interested in sponsoring this event please Call 07930255696 or Email info@mogulmindedgroup.com for more info. Adverts, Music Videos, Special Occasions plus more!